Key Difference: An award or prize is a mark of recognition for excellence in certain field, whereas a reward is a compensation or incentive in return of an act. Awards, rewards and prizes are all precious and are always associated with the pride and respect. A person usually gets familiar with these terms in the school, as school encourages the children and to encourage them, the school gives away the prizes, and awards in various competitions. In spite of knowing the concept behind them, many of us get confuse with the difference among them. They all are considered to be one and the same thing. However, the prize and reward are same, but the difference lies with the definition of rewards. Oxford dictionary defines award as ‘give or order the giving of (something) as an official payment, compensation, or prize to (someone)’. As the definition itself declares award as a prize, thus we can refer to the conclusion that prize and award are the same thing. 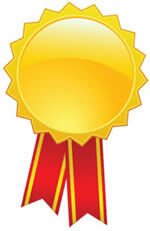 A prize or an award is given in order to acknowledge and appreciate the achievements of an individual. The awards are associated with the personal achievement. They may or may not contribute to the society. 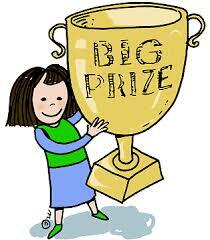 A prize can be any form like medal, trophy, certificate, etc. Many prizes are conferred on the basis of a decision that is made by a committee of judges. Oxford dictionary defines reward as ‘a thing given in recognition of service, effort, or achievement:’ a reward possesses all the characteristics of prize or award but it focuses more on the recognition of the contributions. A reward can also be described as compensation or an incentive for doing something. ‘A person was rewarded for his honesty’, it means that in order to appreciate the honesty shown by the person, the person gets the reward. Awards ar usually given in terms of promotion also. If an employee is working very hard then, if the company provides him out of turn promotion, it is a reward for the employee. The company is also able to motivate other employees to work hard, as now other employees will also work harder to achieve the promotion. An award or a prize is generally provided for the personal achievements, whereas the rewards focus on the factor of contribution made by the individual. A reward is usually in form of money. Awards are always associated with the positive things whereas a reward can also be used in reference to bad or evil things. For example: ‘He was sacked and thus, rewarded for his bad behavior’. 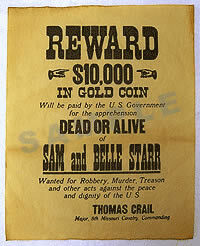 Reward word is also known by the posters, in which the wanted person’s information is provided and the reward is also mentioned in the poster, indicating that whoever gives the information of the wanted criminal, would be provided with the reward. However, today these kind of posters are rarely used. Prizes, awards or rewards my sound different but the common thing between them is that a person always feel good when he is appreciated and the person gets motivated of doing better things in future. In school it acts as a great devise for inculcating healthy competitive feelings. Various competitions are held in schools in order to recognize the talents.